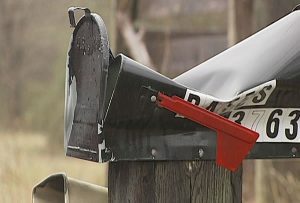 It is important to report any case of mailbox vandalism to the police and even your postmaster. With a police report, you can get reimbursement from your insurance company. Reporting to postmaster is also important as the postal service has an arm that deals with mailbox issues. If you have repeated vandalism issues, then it might be time to get secure mailboxes. Often, mailbox vandalism hides mailbox theft. With a secure mailbox or a re-enforced mailbox from MailboxesResidental.com, you will get something that is secure, strong and sturdy. Install a small video camera that overlooks the mailbox. The camera itself should be either high enough or hidden to prevent any damage from the vandals. Often, installing a camera that is visible can deter would-be vandals. Also, ensure that the mailbox is well lit. You can also hide the camera, but often it is difficult to get good enough video to identify the culprits. Another option is to move the mailbox closer towards the house. The majority of mailbox vandalism is when the mailbox is far away from the house or curbside. There is a drop in vandalism when the mailbox moves towards the house.